The Coast Guard also warns about early "freeze up" in Labrador. 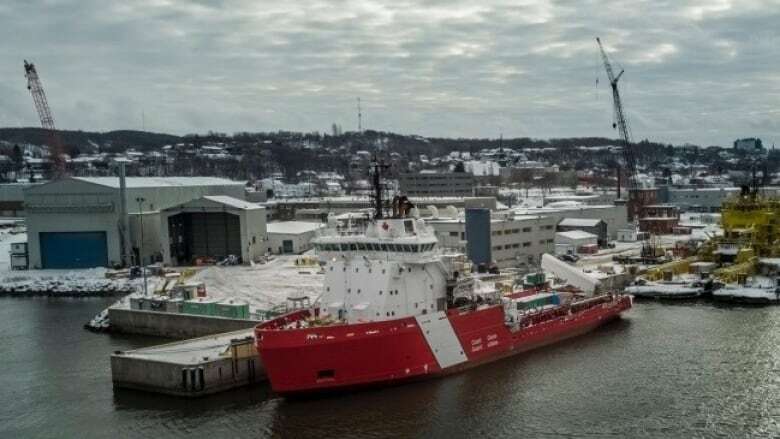 The Canadian Coast Guard is adding an icebreaker it bought from Norway to its fleet — the first addition in a quarter of a century, as sea ice is already proving to be an issue this year. Retrofits to the vessel — including painting over its original colours of yellow and black — have been ongoing, and now it will be part of the fleet. Two other icebreaker vessels were also purchased from Norway, with the whole deal costing $610 million including the retrofits. One of the remaining vessels will go into service by next summer, and the other by winter of 2020. The new icebreaker, which will also be used for search and rescue and environmental response, is named CCGS Captain Molly Kool. Kool, who was born in New Brunswick, was a "pioneer in Canada's maritime history," reads a government news release. She was the first woman to become a licensed ship captain. When she was awarded her coastal master's certificate in 1939 from the Merchant Marine Institute, the prefix "she" had to be officially added to the Canada Shipping Act because up until then, all mariners were referred to as "he." Kool moved to Maine, where she married and spent the rest of her life, according to the government's information. She died in 2009 and her ashes were scattered over the Bay of Fundy, where she spent years sailing its notorious waters. At Tuesday's announcement of the CCGS Molly Kool, the issue of sea ice also came up. Coast guard officials say Atlantic Canada is on track to see an uptick in sea ice this winter, with cold temperatures and high winds contributing to early ice growth. 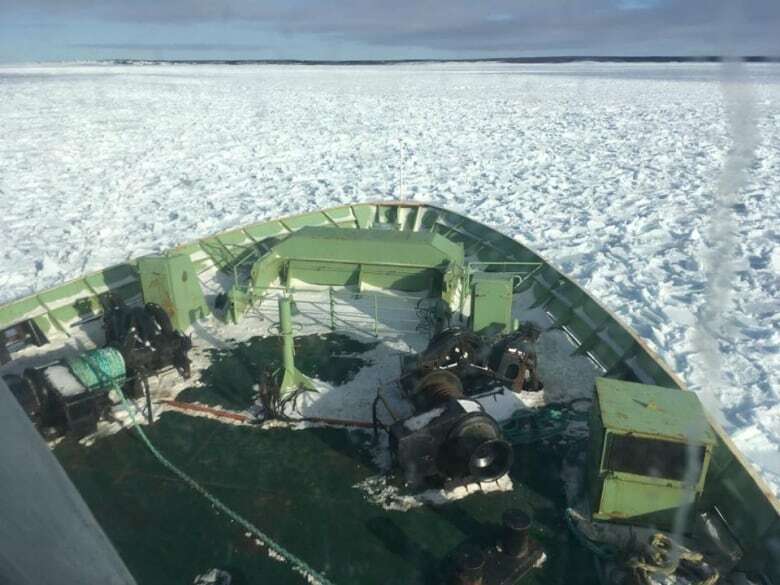 Brad Durnford, superintendent of ice operations for the Atlantic region, said that the Canadian Coast Guard's icebreaking operations have already assisted vessels trapped in ice. He said the "freeze up" is occurring three to four weeks ahead of normal, with ice around Labrador so far this year above the 30-year average. While long-term trends show a reduction in the Arctic ice pack and sea ice in general, Durnford said it's still possible to have a "very bad ice year" in Atlantic Canada. However, he cautioned that weather in the region can "change on a dime" and that an extended warm-up could slow ice formation.